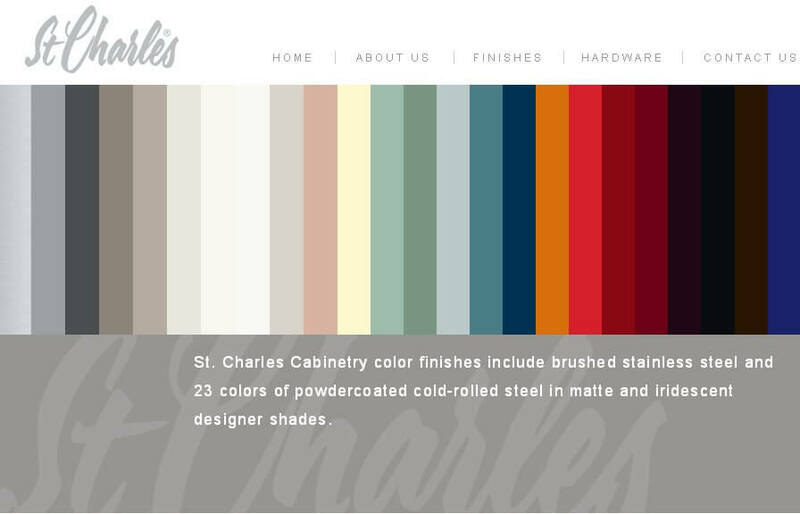 Big news in retroland: The Viking Range company has purchased the St. Charles name and plans to introduce a whole new line of steel kitchen cabinets as early as February. There will be 23 powder-coated colors, which appear to be quite contemporary. Look at their hardware — and at the other material on their website — and it appears that their audience is today’s luxe kitchen buyer — not retro renovators in the sense that I address. To be sure, Viking Range is a high-end product. 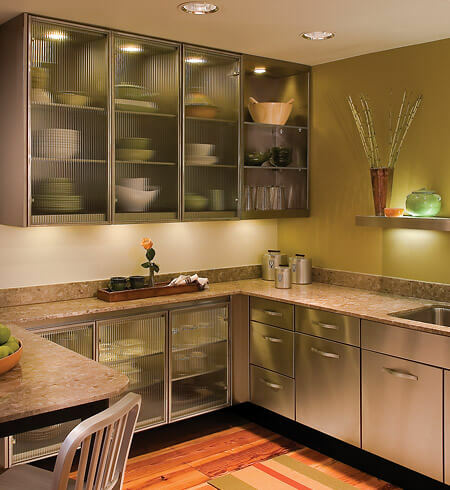 This company also has refrigerators and cooktops, and now, a complete kitchen solution. Interestingly — just like Hotpoint and GE back in the day. It’s clear that with these new St. Charles’, we are talking mucho dinero. In their marketing, they point to the Mies van der Rohe Farnsworth House (below) and its use of St. Charles steel cabinets. Cool kitchen. All this said….I think this is really exciting news. 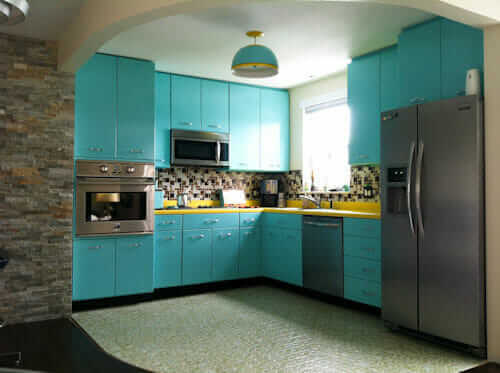 And, I think that this is REALLY GOING TO BLOW THE ROOF OFF of the appreciation for vintage steel kitchen cabinets from the postwar era. Stock up. 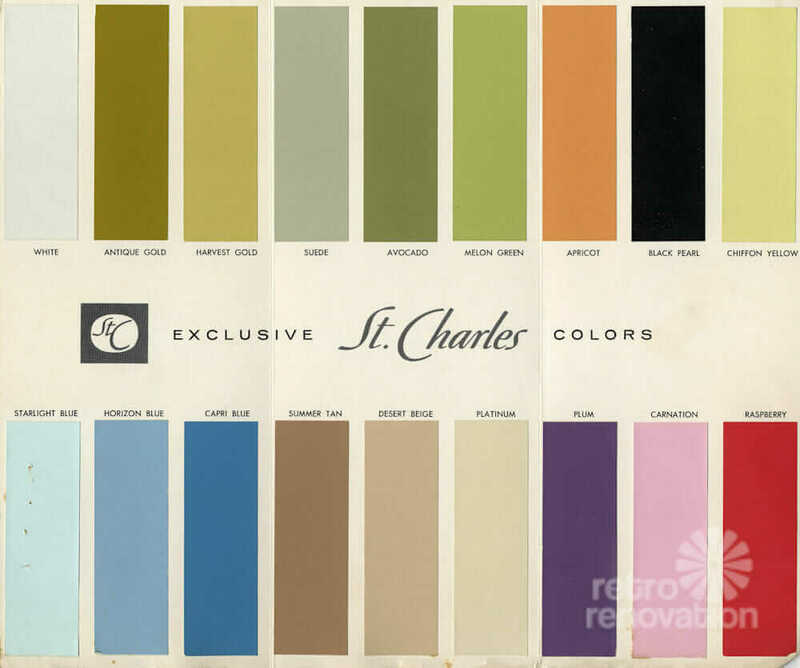 See my other St. Charles kitchen posts, circa 1948 and 1957. And don’t forget to check the Forum for cabinets for sale across the country. Update 2012: Viking sold this company to St. Charles of New York. They have a sign up to get their brochure and more information. I have been looking for a small cabinet to go by my stove for ten years. (Yikes! has it really been that long?) I think I will look in to have a coordinating cabinet made for that spot in the kitchen. 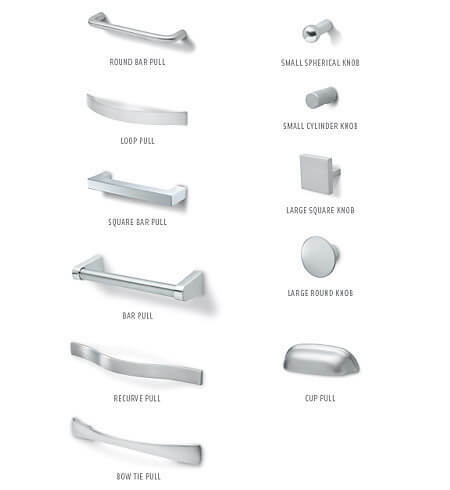 I am looking to replace the conceled, spring hinge in my metal kitchen cabinets. The cabinets are over 50 years old. Can any one help? I need to replace a few of the pegs in my St. Charles kitchen cabinets. They are missing and I can’t close the doors. Do you know where I can find them? Also I need to have the cabinets painted and I was told they need to have a particular paint treatment. Do you know of a painter or a company who works on the cabinets? i am located in Denver. Hi Marian, sorry, we do not have parts info for these old cabinets. And, we don’t recommend painters….You’ll have to do your own local research and find someone willing to work with you. Good luck. Unfortunately, word is they went out of business a couple weeks back. 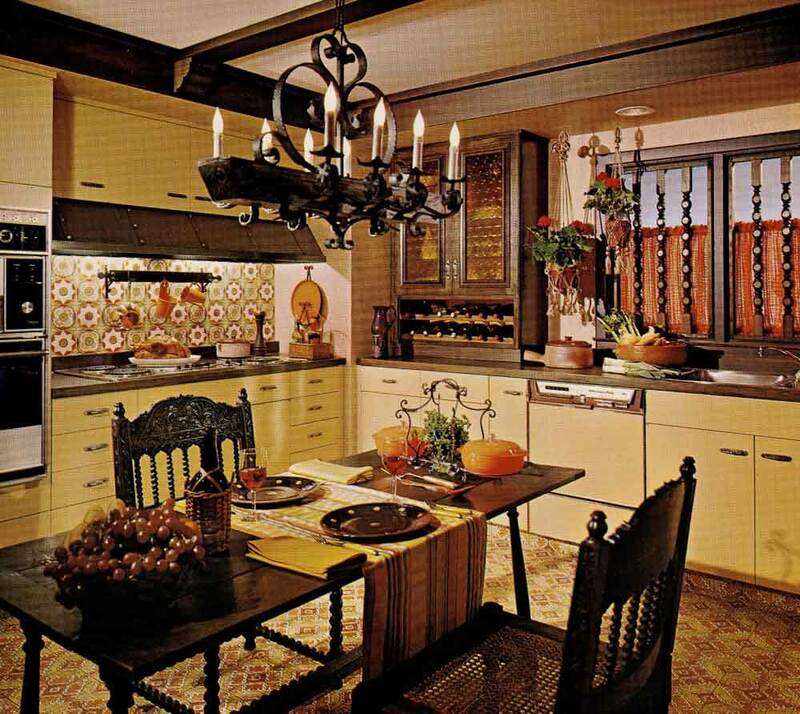 i hope I can buy some of 50 kitchen cabinets .my mother had them in her kitchen.and I like to get my done like the Viking kitchen.